A thrilling and inspiring true story begins on the eve of World War II as, within days of becoming Prime Minister of Great Britain, Winston Churchill (Academy Award nominee Gary Oldman) must face one of his most turbulent and defining trials: exploring a negotiated peace treaty with Nazi Germany, or standing firm to fight for the ideals, liberty and freedom of a nation. As the unstoppable Nazi forces roll across Western Europe and the threat of invasion is imminent, and with an unprepared public, a skeptical King, and his own party plotting against him, Churchill must withstand his darkest hour, rally a nation, and attempt to change the course of world history. 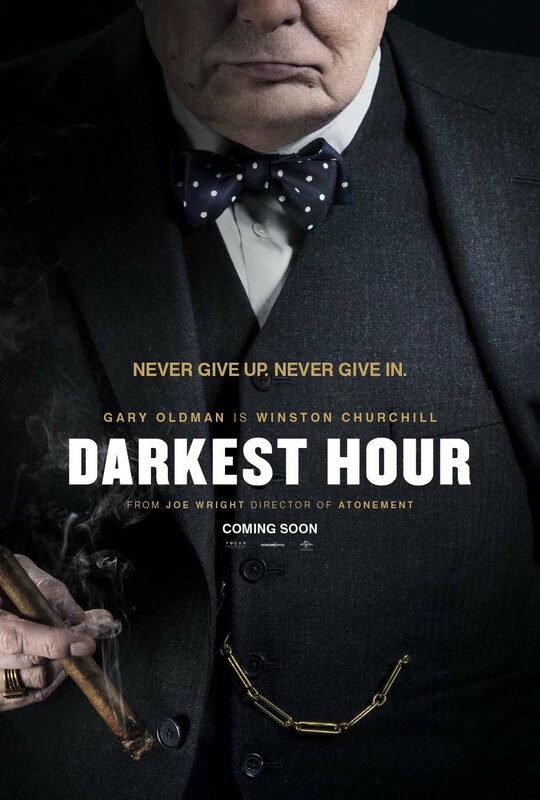 Directed by Joe Wright (Atonement, Pride & Prejudice), Darkest Hour is the dramatic and inspiring story of four weeks in 1940 during which Churchill’s courage to lead changed the course of world history. Darkest Hour is written by Anthony McCarten (The Theory of Everything) and also stars Kristin Scott Thomas, Lily James, Stephen Dillane, Ronald Pickup, and Ben Mendelsohn. In Philippine cinemas 2018, Darkest Hour is distributed in the Philippines by United International Pictures through Columbia Pictures.